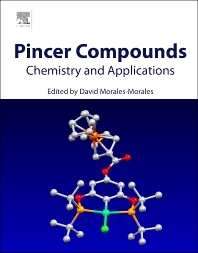 Osmium Complexes with POP Pincer ligands, in Pincer Compounds: Chemistry and Applications (D. Morales-Morales, Ed), Elsevier, 2018, chapter 16, 341-357. C-H Activation Coupling Reactions, in Applied Homogeneous Catalysis with Organometallic Compounds: A Comprehensive Handbook in Four Volumes 3rd Edition (B. Cornils, W. A. Herrmann, M. Beller, R. Paciello, Eds), Wiley, 2017, chapter 23, 1307-1332. Ruthenium and osmium-hydride compounds containing triisopropylphosphine as precursors for carbon-carbon and carbon heteroatom coupling reactions, Recent Advances on Hydride Chemistry (M. Peruzzini, R. Poli, Eds), 2001, chapter 7, 189-248.